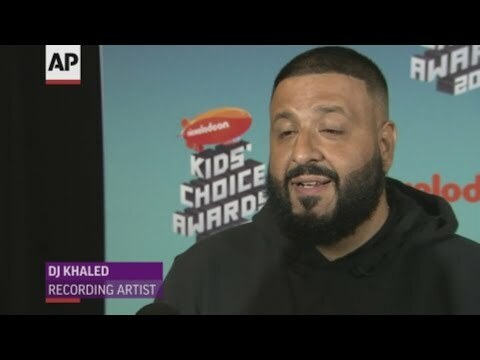 LOS ANGELES (AP) — In the run-up to the Kids' Choice Awards, host DJ Khaled is feeling plenty of support — from his son. MIAMI BEACH, Fla. (AP) — Meek Mill, Busta Rhymes and Fat Joe were among the rappers who came out to celebrate DJ Khaled's birthday at an over-the-top party at the Perez Art Museum to close out Art Basel in Miami Beach. 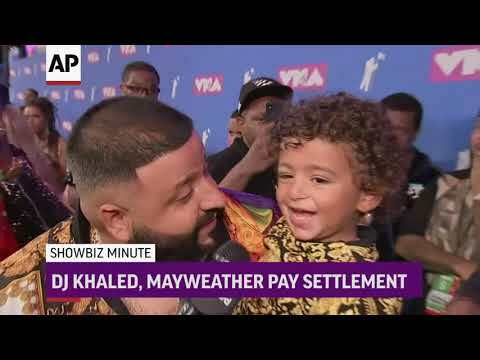 WASHINGTON (AP) — Federal regulators said Thursday that boxing legend Floyd Mayweather and music producer DJ Khaled are paying a total $750,000 to settle charges they failed to disclose payments they received for promoting investments in digital-currency securities. LOS ANGELES (AP) — Quavo may be one-third of the uber-successful hip-hop group Migos, but he's also a rapper in high demand, appearing as a featured act on Top 10 hits by Post Malone, DJ Khaled, Drake and Liam Payne. The 27-year-old star said he was collaborating with others so much that he had to turn down work so he could completely focus on his first solo album, "Quavo Huncho," released last week. 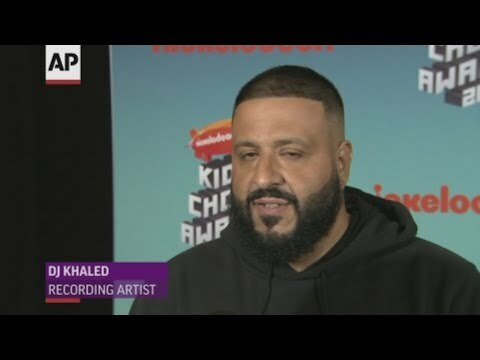 CONCORD, N.H. (AP) — Before he cut the $100,000 checks, Los Angeles Mayor Eric Garcetti brought the Democratic Party chairmen from Iowa, New Hampshire, South Carolina and Nevada backstage to meet late night television host Jimmy Kimmel and superstar hip-hop producer DJ Khaled. Garcetti may not be the best-known 2020 presidential prospect, but he will not be forgotten by those who lead Democratic politics in the states most responsible for picking the party's next presidential nominee. Video of the year: Camila Cabello, "Havana"
DETROIT (AP) — Queen Bey dedicated her performance with husband, Jay Z, to the Queen of Soul drawing a thunderous roar from Aretha Franklin's hometown of Detroit. The Detroit Free Press reports the moment came early in the show Monday night at Ford Field with Beyoncé saying, "We love you" and thanking the ailing 76-year-old for her "beautiful music." NEW YORK (AP) — Jennifer Lopez's two-decade music career will be honored at the 2018 MTV Video Music Awards. NEW YORK (AP) — DJ Khaled has reason to be grateful — he's been nominated for a leading six trophies for the BET Awards. DJ Khaled's 18-month-old son Asahd is having his name trademarked. The 'I Got The Keys' rapper and his wife Nicole Tuck have filed documents on behalf of the young tot to be able to legally have his moniker printed on everything from perfume and clothing to kids cars and games. TMZ reports that Asahd's name is also set to appear on children's items including mini toy cars, healthy snack, books and prams. Movies & More reviewer John Gillispie shares his thoughts on "Pitch Perfect 3," which is rated PG-13 and available on DVD. Fans of popular music and the first two "Pitch Perfect" films may want to check out the latest installment of the movie franchise on DVD. NEW YORK (AP) — Demi Lovato celebrated six years of sobriety at a concert in New York with tour mate DJ Khaled, whose powerful words brought the pop star to tears. Beyonce and Jay Z have announced details for their joint OTR II tour. The superstar husband and wife will hit the road together later this year for a number of dates across the UK, Europe and North America. The 'On The Run II' stadium tour kicks off in the UK at Cardiff's Principality Stadium on June 06, running through to a final date at BC Place in Vancouver on October 02. Demi Lovato could be the Dr. Phil of pop music. In her conversation, songs and 2017 documentary film, the 25-year-old former Disney star encourages people to get help, treatment, therapy or whatever they need so they can get to a place of self-love. She even now co-owns the treatment center that helped her find sobriety six years ago. Rookie Donovan Mitchell of the Utah Jazz put on a show in the slam dunk contest to cap off NBA All-Star Saturday. Mitchell edged Larry Nance Jr. by two points, sealing his victory with a close approximation of the 360-degree spin dunk that Vince Carter used to win the 2000 contest. NEW YORK (AP) — Ed Sheeran, Cardi B, Camila Cabello, Maroon 5, Charlie Puth and the Backstreet Boys will perform at the fifth annual iHeartRadio Music Awards on March 11. The first round of performers was announced Thursday for the awards show, airing live from the Forum in Los Angeles starting at 8 p.m. Eastern. 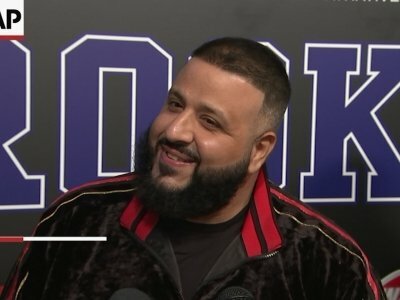 Model Hailey Baldwin and DJ Khaled will be the show's hosts, which will simulcast live on TBS, TNT and truTV as well as on iHeartMedia radio stations and the iHeartRadio app. The Grammy Awards didn't hold back in a pre-recorded skit aimed at President Trump, which featured a surprise appearance by Hillary Clinton and others reading embarrassing passages from the Trump tell-all "Fire And Fury." NEW YORK (AP) — One-time Grammy winner Hillary Clinton made it back to the awards show Sunday night in a role she no doubt relished. She was a surprise guest in a skit by host James Corden, supposedly auditioning for the spoken word recording of Michael Wolff's best-seller on President Donald Trump's administration, "Fire and Fury." NEW YORK (AP) — Youth and age crossed on the Grammy red carpet when SZA's grandmother and DJ Khaled's son arrived about the same time, one in a wheelchair and one in a stroller. Both had a good reason to be there — they had roles in their family's Grammy-nominated albums. NEW YORK (AP) — Jay-Z is on top of the music world this weekend as the leading Grammy nominee. So it was fitting that he held his annual Roc Nation brunch on the top of the World Trade Center. With stunning views of New York City as the backdrop, the superstar hosted a lavish five-hour soirée of food, booze and music with stars including Diddy, Susan Sarandon, Iggy Azaela, DJ Khaled, Remy Ma and more. 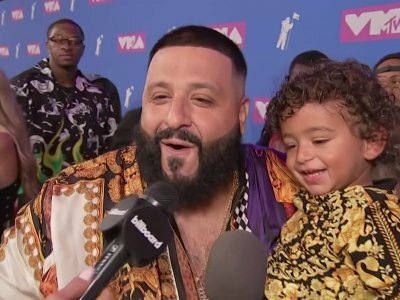 DJ Khaled has admitted it "might be time" to have a second child. The 42-year-old record producer - whose real name is Khaled Mohamed Khaled - already has 14-month-old son Asahd with his partner Nicole Tuck, but says he and Nicole are considering expanding their brood further, because the pair "love kids". NEW YORK (AP) — "Despacito" dominated 2017, but it's still bringing success to Luis Fonsi and Daddy Yankee: The artists are the leading nominees at the iHeartRadio Music Awards. DJ Khaled has given Weight Watchers a boost after becoming their latest celebrity ambassador. The 'I'm the One' hitmaker will document his progress on social media as he completes the "WW Freestyle" weight-loss program and has been welcomed to the fold by fellow ambassador Oprah Winfrey. NEW YORK (AP) — Weight Watchers International climbed after it struck a deal with producer and recording artist DJ Khaled, who will represent the brand to millions of follows on Snapchat, Twitter, Instagram and Facebook. Kendrick Lamar and Drake racked up the streams and sales. Cardi B and Post Malone turned viral hits into radio smashes. But no one had a 2017 quite like Travis Scott. The Houston rapper - he grew up in Missouri City, attended Elkins High School and was a Rockets ball boy - has established himself as one of hip-hop's most fascinating oddities. Scott doesn't just go left instead of right. He seems to be moving in all directions at all times. It turns out "Pitch Perfect" was a one-hit wonder. Back in 2012, the perky story about a college a cappella group was a charming, fresh, funny hit. It even scored star Anna Kendrick a No. 6 single on Billboard's Hot 100 chart (for "Cups"). DJ Khaled is teaching his son to love every day. The 41-year-old producer - whose real name is Khaled Mohamed Khaled - and his fiancée Nicole Tuck recently celebrated their son Asahd's first birthday, and though they threw a party for the youngster, he wants the tot to grow up feeling like every day is special. Wyclef Jean is taking on some of this year's biggest hip-hop hits on his upcoming new mixtape. The former Fugees star is set to rework the likes of Kendrick Lamar's 'DNA', and Young Thug and Future's collaboration 'Killed Before', by adding his own beats and rhymes to the original tracks. Speaking to the BBC, he explained: "It's going to be insane. Because, at the end of the day, can I go bar-for-bar with Kendrick? You know I can - but to a kid, it's going to sound pretty amazing." Demi Lovato has chosen five lucky fans to receive free tickets for her upcoming tour. The 'Cool For The Summer' hitmaker will be hitting the road across the US with DJ Khaled in 2018, but the cost of pre-sale tickets - ranging from $50 to more than $1,000 - left many of her supporters disappointed at having to miss out. However, the 25-year-old singer took to social media to pick a handful of her fans who had tweeted about the shows, and surprise them with tickets for a show of their choice. The BET Hip Hop Awards 2017 delivered plenty of buzzy moments, as always. 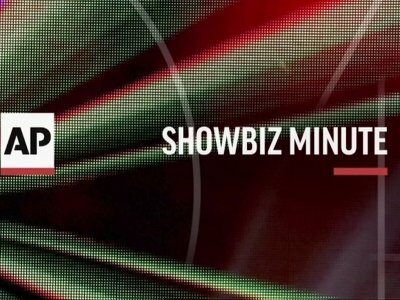 The show, which aired Tuesday night, featured rapper Eminem roasting President Donald Trump during his freestyle and Cardi B performing her No. 1 single "Bodak Yellow (Money Moves)." The night belonged to Cardi B and Kendrick Lamar, who each took home a few awards. NEW YORK (AP) — Demi Lovato kicked off one of fashion's most out-there evenings Sunday at the MTV Video Music Awards as she strutted in a risque black lace bodysuit with matching sparkly harem pants by Zuhair Murad as the night's host, Katy Perry, showed off a white one-shoulder dress by Stephane Rolland as her first of many looks.